Casemiro put Real ahead with a volley however Antoine Griezmann equalised once rating a one-on-one. 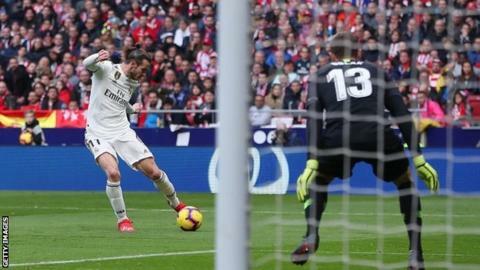 Sergio Ramos restored the visitors' lead with a penalty and Bale regenerate from Luka Modric's pass to ensure the win. Atletico ended with ten men after Thomas Partey was shown a second yellow.